What is Golden Week? In Japan, the Golden Week is a series of four national holidays that take place within one week at the end of April to the beginning of May each year. It is often considered a time of vacation for the Japanese people, and many people receive time off from their secular employment on these bank holidays. What is the meaning of Golden Week to the Japanese people? Showa Day, or Showa no hi, on April 29 is the birthday of the late Emperor Showa, or Hirohito, who ruled Japan during World War II. On May 3, Constitution Day, called Kenpo kinenbi, is celebrated in honor of the ratification of the Japanese constitution in 1947. Midori no hi, or Green Day, is celebrated on May 4. It honors the environment, as Emperor Showa was a lover of nature, flowers, and plants. At one time, Greenery Day was celebrated on April 29 but was moved to its current date due to an obscure law that requires a day falling between to national holidays to be declared a holiday as well. 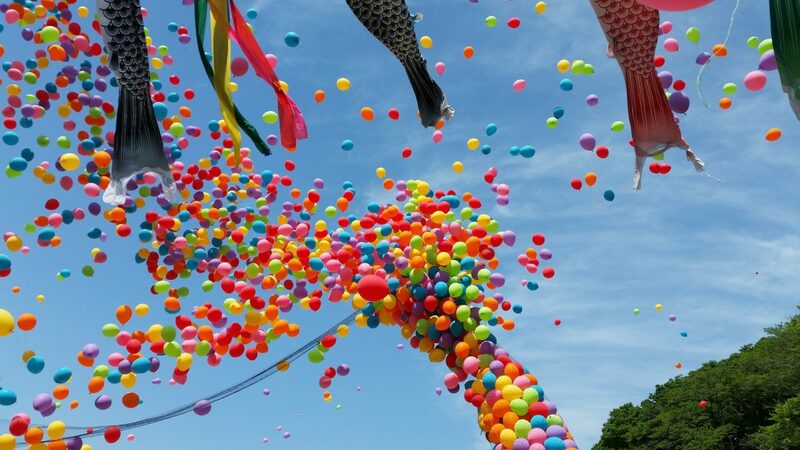 Finally in May 5, Kodomo no hi, or Children’s Day (also called Tango no Sekku, or the Boy’s Festival), is a festival in celebration of young men. 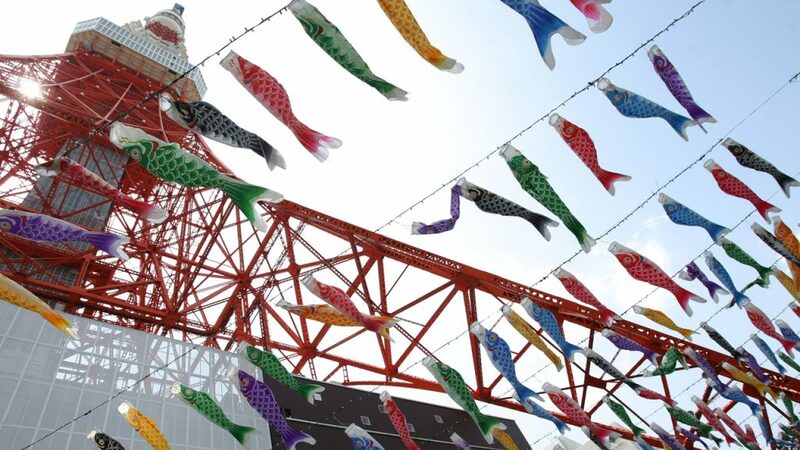 Towns and families often hang carp streamers outdoors to represent the presence of young men within and to wish them strength and success in life. Golden Week is avoided by many international travelers because of the challenges of navigating crowded transportation and attractions. However, Golden Week also offers some unique travel opportunities. If you plan on traveling to Japan during this special week of activity, consider the following suggestions. In 2017, Golden Week began on Saturday, April 29 with activities continuing through Sunday, May 7. In 2018, Golden Week travel will begin on Saturday, April 28, with activities through Sunday, May 6. In 2019, the first holiday falls on Monday, April 29, with travel expected through Monday, May 6. In 2020, April 29 falls on a Wednesday. Festivities and travel are expected to continue through Tuesday, May 5. The Japanese government is considering making April 30 and May 1 extra national holidays which would make Golden Week 2019 a consecutive ten-day holiday period. The days would mark the expected abdication of the Emperor and the subsequent succession. Golden Week normally consists of two separate periods of three and four days but these two extra days would join them together. The peak travel times of Golden Week are usually easy to predict. The busiest days are May 3 (Japanese people leaving major cities) and May 5 and 6 (people returning home). Golden Week 2019 is at the moment harder to anticipate because of its irregularity though travel activity is likely to peak at the start and at the end of the proposed ten-day period. Transportation and attractions can be difficult to access during Golden Week due to the sheer number of people traveling at that time. Consider the following tips to make your Golden Week Vacation a bit more pleasant. 1. Make all reservations early. Many travelers make their Golden Week plans three to six months in advance. This includes reserved train seating, airline tickets, hotels, and tours. You can activate your Japan Rail Pass up to thirty days in advance of when you plan to use it. With an activated pass, you can make seat reservations early. When using non-reserved seating, large groups may find it difficult to get seating together on the trains. 2. Allow extra time for travel. During Golden Week, more than the average number of people are traveling. 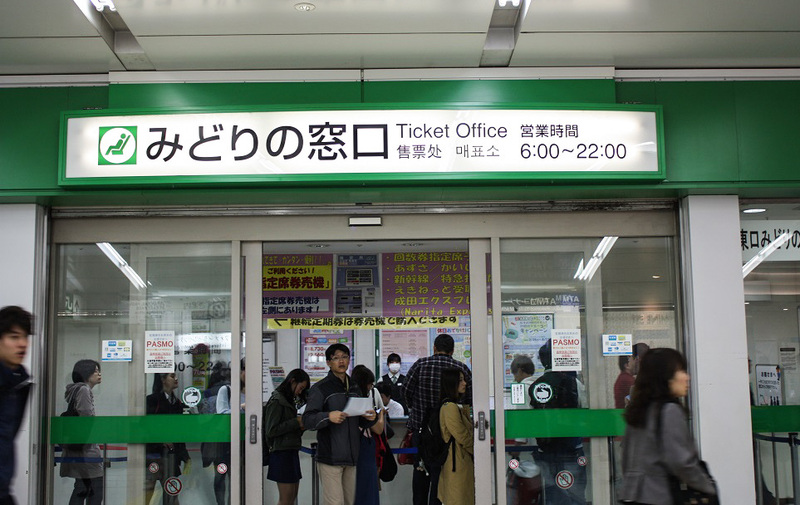 Therefore, you may encounter long lines or delays when using your Japan Rail Pass. Be sure to allow extra time to accommodate any delays. Be patient when interacting with Japan Rail employees and other passengers. 3. Enjoy what’s local. One sure way to beat the crowds is to avoid using the highways, public transportation, and tourist attractions. Instead, plan to pursue activities within walking distance of your accommodations. Take a walk and enjoy roadside gardens. Discover restaurants known only to the locals. Don’t stress, but consider it an adventure. Outdoor festivals. During Golden Week, various festivals are celebrated in nearly every city in Japan. These may include events for viewing wisteria or azalea flowers, historical parades, or cultural celebrations. Visit Tokyo. While Tokyo is known for being a densely populated metropolis, you may find that many of its residents vacation elsewhere during Golden Week. This means shorter waits and fewer crowds at Tokyo’s restaurants, parks, museums, and other attractions. There is even a Hawaiian festival that takes place in Tokyo during Golden Week and also the Spring Grand Festival at Meiji Shrine. Enjoy the outdoors. The weather is typically mild during Golden Week, with comfortable outdoor temperatures. Golden Week is thus the perfect time for outdoor activities in Japan. Keep in mind, though, that flower parks may be crowded with visitors anxious to see the azaleas, wisteria, and tulips. and the weekend make for a long vacation period similar to Golden Week. This holiday, around late September, is widely known as “Silver Week”. The next Silver Week will happen in 2020 with a four-day long holiday period to be confirmed: September 19 (Saturday) to September 22 (Tuesday). We are planning to visit Hiroshima and Miyajima on May 2nd from Kyoto. We are waiting for bullet train tickets. Would the holiday cause any problems? Any suggestions? We don’t have any other day. Hi Sho! Transportation and attractions can be difficult to access during Golden Week due to the sheer number of people traveling at that time, and hence we strongly recommend you to book your seats as soon as you reach Japan to avoid fully-booked situations. Happy travels! Hi, we are arriving in Osaka KIX late night on 2 May and want to leave to go to Hiroshima on Monday 6 May. We can only activate our JR pass on 3 May – will we be able to get seats reserved for the Shinkansen to Hiroshima on 6 May or will it be full? How many trains go from Osaka to Hiroshima on Monday 6 May? Please give us advice, thank you! Hi Annie! It is not possible to know upfront if a train will be full or not. Our best advice would be reserve your seats as soon as it is possible for you. Should you need concrete information on trains, timetables and itineraries please check Hyperdia – the number 1 Japanese online transportation planning tool. Happy travels! Hi, i will visit japan on 1-8 May 2019. I have bought JR pass to travel in Japan. Can i make a JR Shinkansen seat reservation to Osaka online ? Hi Stephanie! Seat reservations can only be made when the Japan Rail Pass is activated. However, seat reservations are available online for certain trains at the JR East Train Reservation Service (Ekinet). Eligible trains include the Hokuriku Shinkansen (Tokyo-Kanazawa), Shinkansen and major limited express trains in the JR East area north of Tokyo, and Shinkansen, limited express and rapid airport trains in the JR Hokkaido area (some exceptions may apply). Happy travels! 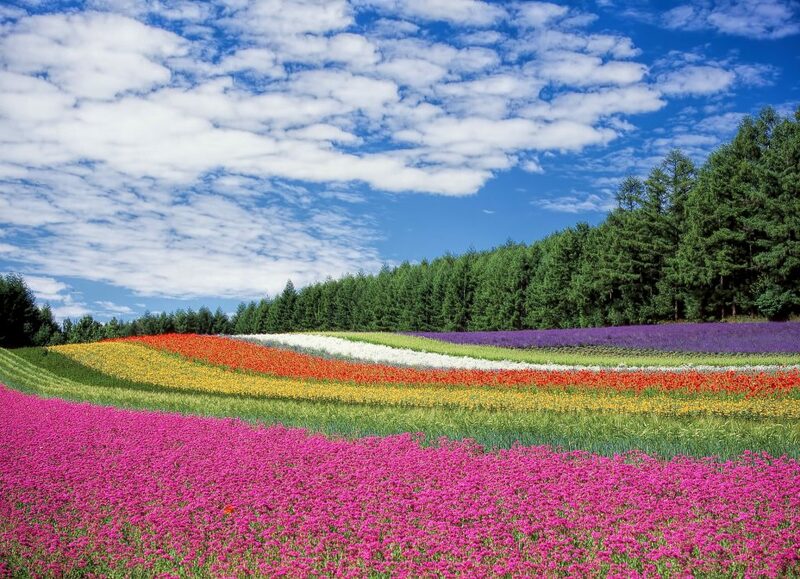 Farm Tomita in Hokkaido is a great place to visit during Golden Week? That’s terrible advice! The flowers aren’t in full bloom until July! Hi User! The picture aims to make part of our advice ‘enjoy outdoors’, which is not related to the blooming flowers in this case but to the comfortable outdoor temperatures. To reserve seats you need to have already exchanged your voucher into the actual Japan Rail Pass. Once this is done, you can go to any JR Ticket Office (Midori-no-madoguchi), spread through all Japanese train stations. Alternatively, seat reservations are available online for certain trains at the JR East Train Reservation Service (Ekinet). Eligible trains include the Hokuriku Shinkansen (Tokyo-Kanazawa), Shinkansen and major limited express trains in the JR East area north of Tokyo, and Shinkansen, limited express and rapid airport trains in the JR Hokkaido area (some exceptions may apply). Hi Johny! Unfortunately not. JR Group will only exchange your voucher for the ticket you purchased. We recommend you to contact the company you purchased your pass from to see how can this be solved. Are all museums open from 28 April and the entire Golden Week? Hi Dindy! Most of the museums are open during the Golden Week, however we recommend you to verify before visiting them in their own website. I will fly to marital on april28 and take the Shinkansen that morning. I would like to travel from Tokyo to Kanazawa on April 28, 2018. I planned to buy a non-reserved seat. I don’t mind about standing, but I want to arrive at the destination on time. Can I get on the train I want even it’s crowded, Or I have to line up for the next train. If I miss the train, can I I wait for another train by using the same ticket? I am worried that I cannot go to Kanazawa by Shinkansen on the date I want, because I have reserves all the hotels. – Kagayaki: one of the few train categories that require making a seat reservation before boarding. There are no non-reserved seating areas on this train. In case all seats have been booked, standing tickets will be made available. – Asama: you are not required to make a seat reservation, before boarding the train. The Asama train offers reserved and non-reserved seating areas. – Hakutaka: there are both reserved and non-reserved seating areas on the Hakutaka train. You are not required to make a seat reservation before boarding. We will be in Tokyo – May 2nd to 7th, right smack into the whole of Golden Week. We want to do a day trip to Nikko (will be driving there instead of taking the train). Initially the plan was to go on May 5th (Saturday) but I’ve read that traffic on weekends are really bad, so I am thinking of doing May 3rd (Thursday). Is it doable? Also, any chance you can help advise on the approximate cost of the road tolls for a Tokyo-Nikko round trip? Thank you! Hi, i am travelling to Japan on 1st of May 2018. Since i realized that i will arrive in the middle of Golden week i am wondering about what to do with transports. I have planned to travel a lot around the country and i have booked every hotel for 12 nights. First on 1st May i want to travel to Kanazawa, the on 3rd to Kyoto, on 6th to Hiroshima, 8th to Hakone (odawara) and 9th to Tokyo (on 13th i will travel back). Also i will travel to Miyajima, Nara, Kamakura and Nikko so i think a jrpass for 14 days would be worth it. I have seen that they advice to book trains 2-4 days in advance when is Golden week, but for my first trip to Kanazawa is impossible to do that. So i have though to buy a Green car pass because i would have more probabilities to get tickets in the same day. Notwithstanding there are less green cars than ordinaries, I have read that japanesse people that usually travel in first class prefer to use Nozomi trains, because they are quickier than JR trains (but to kanazawa there arent a lot of Nozomi). In other hand, i think it will be less passengers in the middle of Golden week (1st May) that in the start of it or in the holiday days (29,3,4,5). I am very afraid not to take tikets in the first day to Kanazawa, so i would appreciate any advice related with this. Thank you. 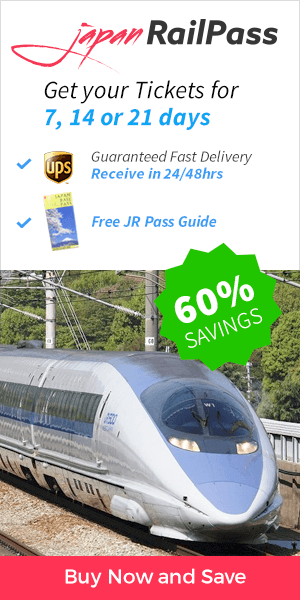 Buying the Green Pass is ideal for the busy months in Japan since it guarantees a spacious and comfortable seat in the air conditioned cars of JR lines.